About Willcox Theater and Arts.. SINCE 1914, Willcox and the surrounding communities have looked to the local theater for entertainment. The current theater building was built in 1936 and opened in January 1937, showing The Gorgeous Hussy, with Joan Crawford. The new art deco theater featured a sloped floor, leather seats, a balcony, modern 1930’s projection equipment, and a stage for vaudeville and other performers, with dressing rooms and backstage facilities. In 1990 the building underwent a major modification in which the single theater was converted to two screens. The lobby and concession area was moved to the center of the building from the front. The original front ticket office and entrance was closed and a new entrance created on the side for moviegoers to enter the lobby. A larger marquee was also added at this point. After the Theater closed in 2011, the non-profit Willcox Historic Theater Preservation, Inc was formed to revive, renovate and operate the Theater. Reopened in 2012, the Theater has been completely renovated, retaining the historic Southwest Art Deco exterior and recreating an opulent interior in authentic Art Deco style. 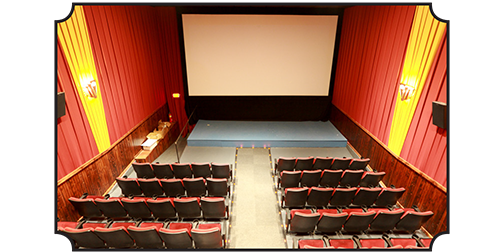 The Theater’s mechanical and electrical systems were also updated to improve the Theater’s environment, and state-of- the-art digital projection and sound system installed to provide a film experience second to none. In 2016, the Theater purchased 128 N Railroad Ave, adjacent to the Theater, to serve as a multi-use arts and activity space. This building, originally built in 1914 underwent significant remodeling and renovation to serve as workshop and rehearsal space. Used for film showings, dinner theater, art exhibits and many community activities, it was opened in January of 2017. These many changes at Willcox Historic Theater in recent years have led to a renaissance, transforming from a down-at- the-heels and ultimately shuttered movie theater to a stable, prosperous, and highly valued center of arts, culture and entertainment in the community. 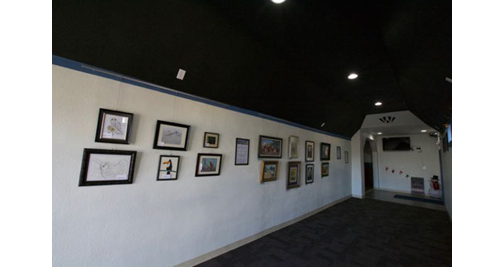 Willcox Theater and Arts has the perfect space for private parties, classes, presentations, exhibitions, meetings or other special functions. Studio 128 The newly renovated Studio 128 seats 70 in row seats, 40 as a dinner theater and can be configured to your needs in a variety of ways. Studio 128 features high-definition digital projection, a sound system, stage lighting and stage. Studio 128 is ideal for films, live performance, panel discussions, Q&A’s, interactive presentations, art exhibits, birthday parties, receptions or private events of all types. MovieHouse One seats 130 in comfortable theater seats and features high-definition digital projection with many available exhibition formats, including: DVD, Blu-Ray, computer or tablet, and a full Dolby 5.1 sound system. A performing sound system, stage lighting and stage complete MovieHouse One’s technical equipment, making it suitable for film or live performances. MovieHouse Two seats 80 in comfortable theater seats and features high-definition digital projection with many available exhibition formats, including: DVD, Blu-Ray, computer or tablet, and a full Dolby 5.1 sound system. 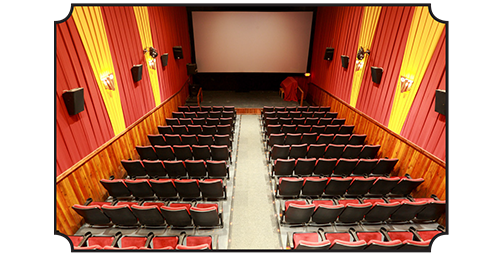 MovieHouse Two is suited for kid’s birthday parties, private film screenings and presentations. Rooms generally book in 2-hour time blocks during normal hours of operation. The Theater Gallery generally books exhibits for one to four weeks. A rental gives you the space to yourself for the duration of the rental. Other fees apply for a dedicated projectionist or staff member to help you run the show. Available hours and rental dates vary depending upon our programming and other rentals. We require that bookings be made at least three weeks in advance. During the past 5 years, the non-profit Willcox Theater and Arts has become a valued resource for individuals and families looking to experience outstanding films and live performances together. You won't find programming like ours anywhere else in Cochise County! As a non-profit theater, Willcox Theater has helped improve the quality of life in our community. The theater's presence has encouraged revitalization of our business area and stimulated tourism. - Movies that you can't see anywhere else. From the big screen classics to cutting-edge independent films, engaging documentaries to local film festival presentations, films from across the globe to the little films that could - we bring you the best in film every day of the year. - Innovative and enlightening "Film Plus" programming. Your support helps us continue special programs, like Stage to Cinema, Retro Rewind Films, LIVE On-Stage, Dinner Theater and so much more! Programming for all members of the community. It's with your help that we can help keep the love of film and arts alive with programs like Retro Rewind, Community Scene, Radio Theater, Movie Memories, Box Office Babies, and Kids' Shows. For more than 80 years, the Willcox theater has proudly shared the love of film and arts with the Northern Cochise Community. Please make a 100% tax-free donation today to help maintain the beauty and vitality of this neighborhood icon for years to come. • Market your products and services to people who are independent-minded and culturally-savvy. • Create tremendous good will with audiences enjoying the magic of movies. You can support Willcox Theater and Arts programs and, at the same time, promote your business or organization! Programming film and live performances is expensive, but you can help! By sponsoring one of our upcoming programs with a donation of $250 you can help us continue to bring classic films, documentaries, cult and sci-fi classics, children’s films and live shows to families in and around Willcox. Sponsors are recognized in all advertising. Advertising includes links to your website and listings on the theater’s website and Facebook page. Further, we invite you or someone from your organization to introduce the film and establish a presence in our lobby before and after the film, providing information about your business or organization for our patrons. Your sponsorship is a wonderful way to contribute to the lives of families in our community. Be a part of the fun! For as little as $250 to $500 you can help the Theater continue to bring exceptional programming to our town. Please take a look at our schedule by browsing the website and consider sponsoring one of our upcoming film, live or special event programs. Does my contribution of $250 cover all of your expenses to show a film? No, it doesn’t, but your contribution helps tremendously! Generally we are charged a flat fee between $250 and $350 for the rights to show a classic or kids’ film. In addition there are shipping costs and overhead expenses (heat, electricity, advertising) resulting in a cost well over $500. Live performances are even more expensive and can vary wildly; that’s why we need your help! The Walmart Community Grants Team and Facility # 3807 in Benson as announced that Willcox Historic Theater was awarded a $500 Community Grant. The Theater is very pleased to have received this award. These funds will help Willcox Historic Theater provide the variety of performers, classes and community events to the greater Willcox area. Premier Alliances, Inc., a Cochise County nonprofit working to improve the lives of people with additional needs, has contributed a donation of $2,000 to the Willcox Historic Theater in support of its many inclusive programs. 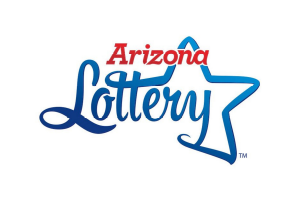 The Arizona Lottery has granted the Theater $2500 to enhance our ArtsRageous program of arts learning for youth and seniors. 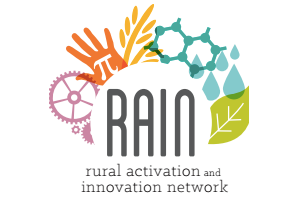 RAIN - Rural Activation and Innovation Network has provided grants of $4950 and $2480 to support the theater´s programs for youth in STEM, including Video Production, Studio 128 Makerspace and the Digital Media Zone. Tourwest, in conjunction with the National Endowment for the Arts and the Arizona Commission on the Arts has awarded grants to support the performing artists Quarteto Nuevo and O Sole Trio in our Season of Guest Artists for 2018 - 2019. This project received support from The Arizona Commission of the Arts; WESTAF, the Western States Arts Federation; and the National Endowment for the Arts. We are proud to announce that the Arizona Commission on the Arts has awarded a Community Investment Grant of $10,500 to the Theater to support the spectrum of arts programing, workshops, performances and summer camps for all ages provided for the residents of Northern Cochise County. 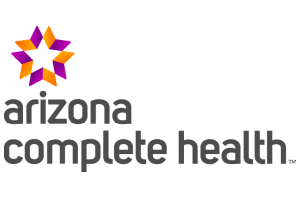 This project is supported in part by the Arizona Commission on the Arts which receives support from the State of Arizona and the National Endowment for the Arts. The Kinder Morgan Foundation is again supporting the Theater´s youth arts programming this year with a grant of $1500. The Arizona Community Foundation of Cochise and the Northern Cochise Fund continued their support of the Theater with $2000 for our ArtsRageous program of arts learning. We are excited to announce that the Legacy Foundation has awarded the theater $5000 to support our ArtsRageous program of active arts participation in workshops, camps and demonstrations, specifically for youth and seniors.